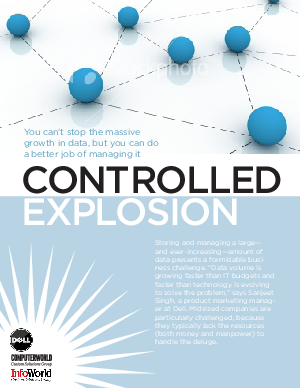 Storing and managing a large - and ever-increasing - amount of data presents a formidable business challenge. "Data volume is growing faster than IT budgets and faster than technology is evolving to solve the problem," says Sanjeet Singh, a product marketing manager at DellT. Midsized companies are particularly challenged, because they typically lack the resources (both money and manpower) to handle the deluge.